Message of His Holiness Patriarch Kirill of Moscow and All Russia to His Holiness Patriarch Irinej of Serbia. 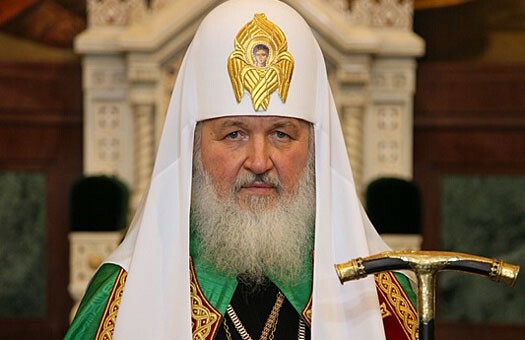 His Holiness Patriarch Kirill of Moscow and All Russia sent a message to His Holiness Patriarch Irinej of Serbia, in which he informed him of the measures taken by the Russian Orthodox Church to help those affected by the flood in Serbia and expressed his solidarity with the Serbian people. I cordially greet you and wish you peace and physical and spiritual strength. I was alarmed to learn about the sorrows that had befallen your God-protected flock due to the catastrophic flood. The mass media reports were followed by the letters of Your Holiness, full of pain and concerns for the people who had fallen victims of the natural disaster. We immediately began to raise money and collect various items as aid for our brothers affected by the tragedy. The Moscow Patriarchate’s Synodal Department for Church Charity and Social Service and the Representation of the Russian Orthodox Church in Belgrade received respective instructions. On 19-21 May 2014, when the flood reached its peak, they delivered the first consignment of sanitary kits, food, and clothes to the towns of Šabac, Svilajnac, and Lajkovac. The fundraising campaign was carried out in response to my appeal to all the faithful of our Church to support the Serbian people affected by the flood. The sum raised, over 27 million roubles, has been transferred to a special bank account of the Serbian Orthodox Church. I thank Your Holiness for your kind words about the Russian Orthodox Church, contained in your letters. Together with the Serbian people of the same faith, we pray to the Prince of Peace and Saviour of our souls to give rest to the souls of the victims of the flood and grant recovery to those injured. We also pray for those missing and for those who have become homeless, as well as for the consolation of all those who lost their relatives and friends and are suffering the bereavement. Our aid is an expression of solidarity with Your Holiness, archpastors, pastors, and laypeople of the holy Serbian Orthodox Church in your endeavours. The tragedy has shown to the world that the Church of St Sabas has been a strong spiritual support for the Serbian people. The national character of the Serbian people notable for courage, steadfastness, and readiness to help is based on the Church, as on a solid rock. And in the hour of ordeal, when the rain descended and the floods came, this house fell not, for it was founded on a solid ground (Cf. Mt 7:25). May our Lord Jesus Christ, the Source and Giver of every good things, give strength to the long-suffering Serbian people to overcome the aftermaths of the natural disaster and restore peaceful life.